Steve Pearce has 2 HR's in Game 5, and an incredible World Series, winning the Willie Mays World Series MVP Trophy! 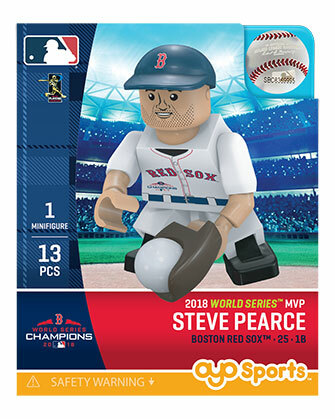 Your RedSox are the World Champions for 2018. An amazing season of 108 wins followed by an exciting Postseason, and great World Series. 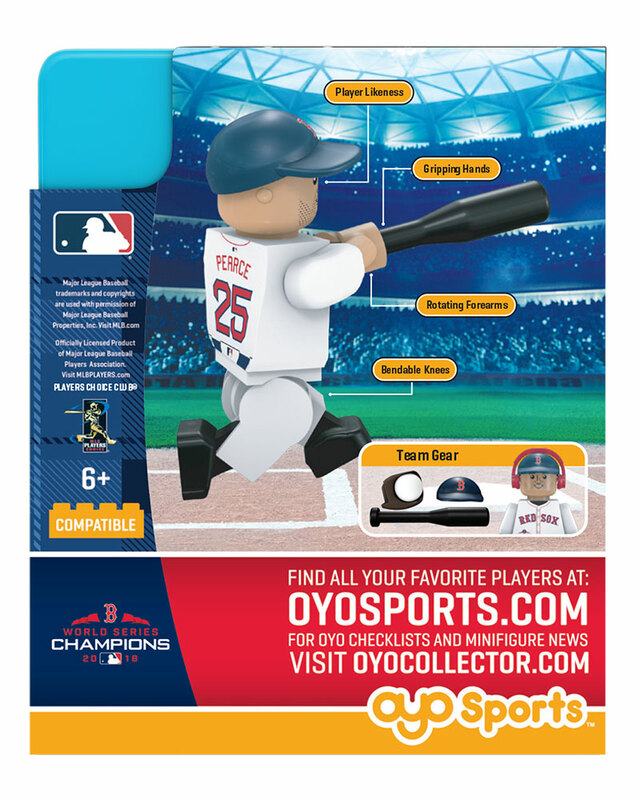 Your OYO minifigures are ready to celebrate! 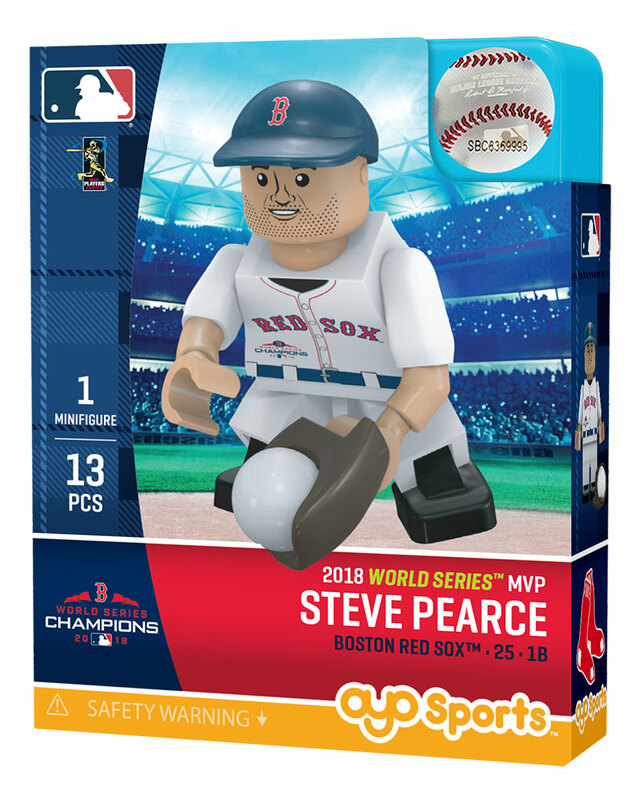 Custom printed and assembled here in Massachusetts, each minifigure has the RedSox uniform, printed with the World Series Championship logo, World Series Champion Homeplate stand, and is only available until December 31, 2018. At that point, all production will stop of these Championship minifigures. Don’t miss out – these will be important to have for the ring ceremony in April! Printed and assembled in Massachusetts! Great item and super fast delivery.